Today the United States officially transferred to the Government of Ukraine a $7.6 million dollar expeditionary military field hospital to help enhance the country’s ability to treat soldiers injured in ongoing operations to defend Ukraine’s sovereign territory against aggression by Russian-separatist combined forces in eastern Ukraine. 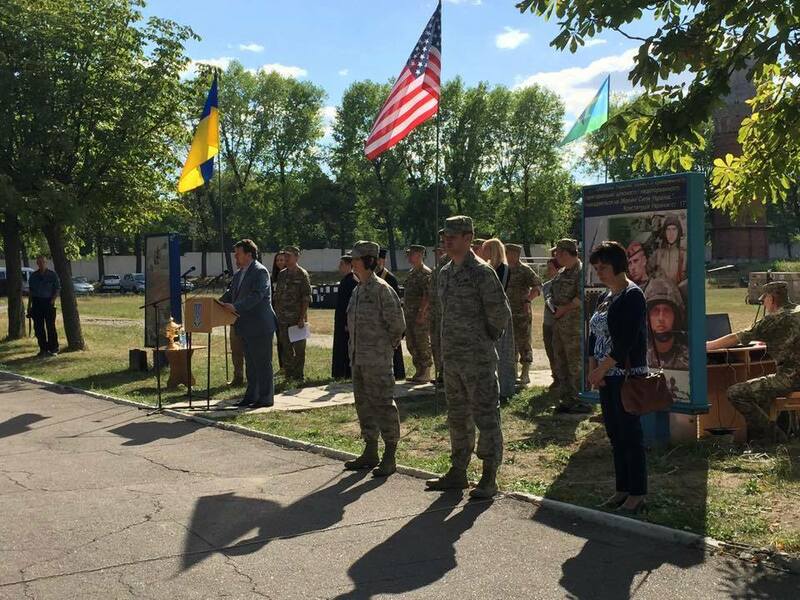 Colonel Carol Northrup, Defense Attaché at the U.S. Embassy in Kyiv, presented the facility on behalf of the Government of the United States at a ceremony in Zhytomyr, Ukraine, Colonel Andrii Verba, Director of the Ministry of Defense Military Medical Dept, and Yaroslav Lahuta, Deputy Governor of Zhytomyr Oblast, accepted it on behalf of the Government of Ukraine. 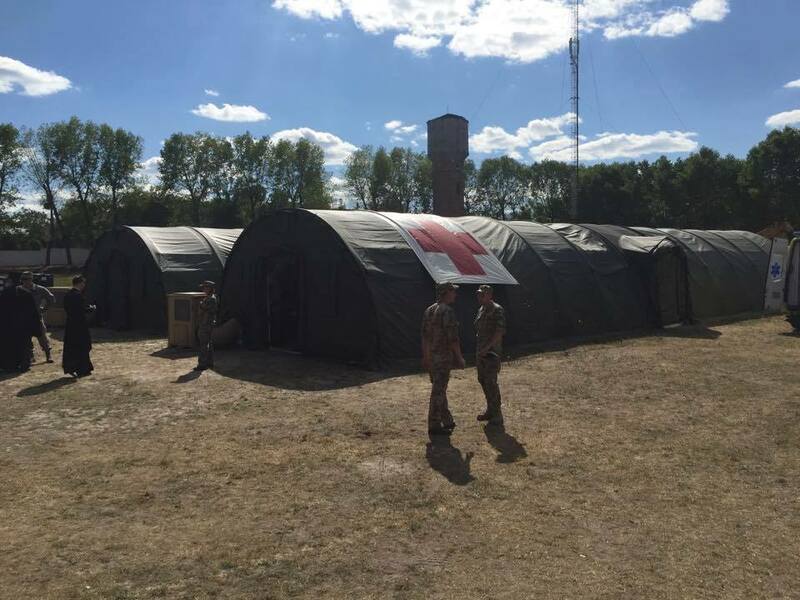 Known in the United States as the Expeditionary Medical Support System (EMEDS), the field hospital is a light, lean, resuscitative care facility that can be forward deployed to provide rapid medical support for a broad range of military operations. 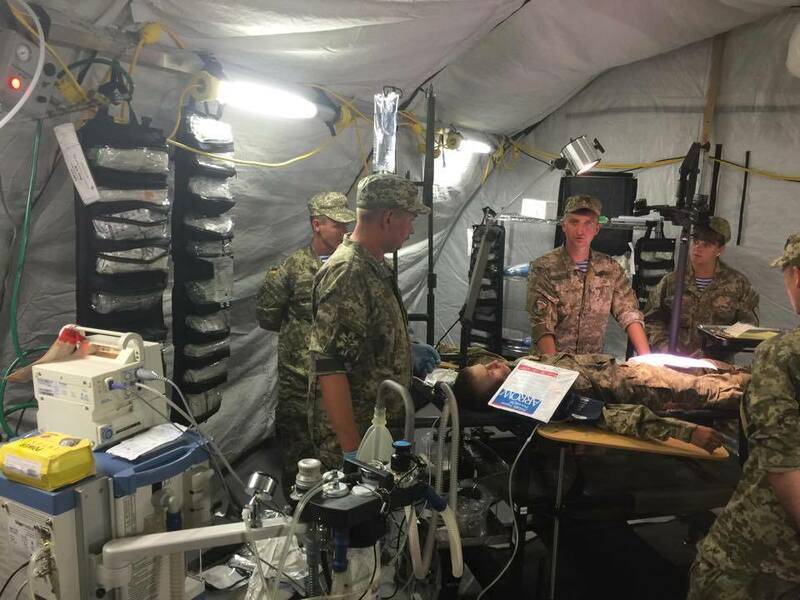 It can be used to treat wounded soldiers, stabilize patients, and prepare casualties for medical evacuation to facilities that can provide a higher level of care, as well as provide primary care, dental services, and force health protection. 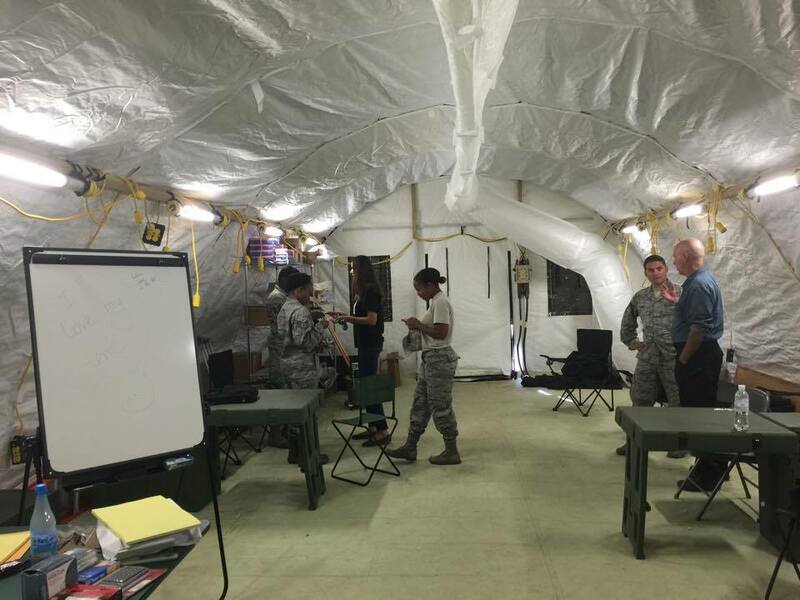 The facility is designed to be manned by 30 medical / medical support personnel. It can provide care for up to 3,000 troops. It consists of 4 tents, takes about 24 hours to erect, and can operate in an austere environment for up to 10 days until resupply. The EMEDs facility and associated medical equipment and supplies transferred today are valued at approximately $7.6 million. U.S. military personnel are training their Ukrainian counterparts on how to make full use of the facility this month. This entry was posted in English, Help for Ukraine, Opinions, Pictures, South&Eastern Ukraine, Voices of Ukraine, War in Donbas and tagged #FreeAfanasyev, #FreeChiygoz, #FreeDegermendzhy, #FreeKolchenko, #FreeKostenko, #FreeSavchenko, #freesentsov, #RussiaInvadedUkaine, #StopRussianAggression, #UkraineUnderAttack, #war in Ukraine. Bookmark the permalink.